Water harvesting is collecting rainwater or run off water in catchment areas and maintaining the quality of this water. Often, this is related to collecting rainwater for direct consumption or to recharge groundwater with the water collected during the rains. Water harvesting can be termed as the process to make optimum use of water, be it the primary source i.e. rain or the secondary sources such as the groundwater, rivers, and lakes. The amount of water that can be harvested is directly linked to the amount of rainfall and the collection efficiency of the catchments and various other factors such as spillage, water wastage, and evaporation. Augment the depleting ground water levels. The process can help deal with the shortage of potable water. The irrigation water requirements can be met to a very large extent. Helps deal with flooding in the urban and rural areas. Harvesting prevents excess water from flowing into the storm water drains and sewage lines thereby reducing the load on sewage treatment plants. Helps reduce the flow/advancement of seawater into the coastal and interior regions. Helps reduce the alkaline and salt content in ground water. Collect the floodwaters from local streams. Modify or utilize rooftops of houses to capture run off during the rains. Collect run off from local water catchments. Collect ground water in communal ponds and prevent it from overflowing. 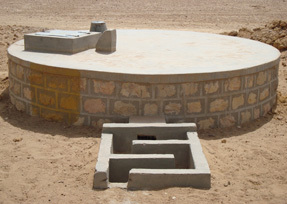 Water harvesting has been a success in a number of urban and rural areas with positive results. It has helped solve the water woes in numerous drought affected areas and helped cultivate lands that were once barren.